Reward your lifestyle with white no-tie elastic flat shoelaces. 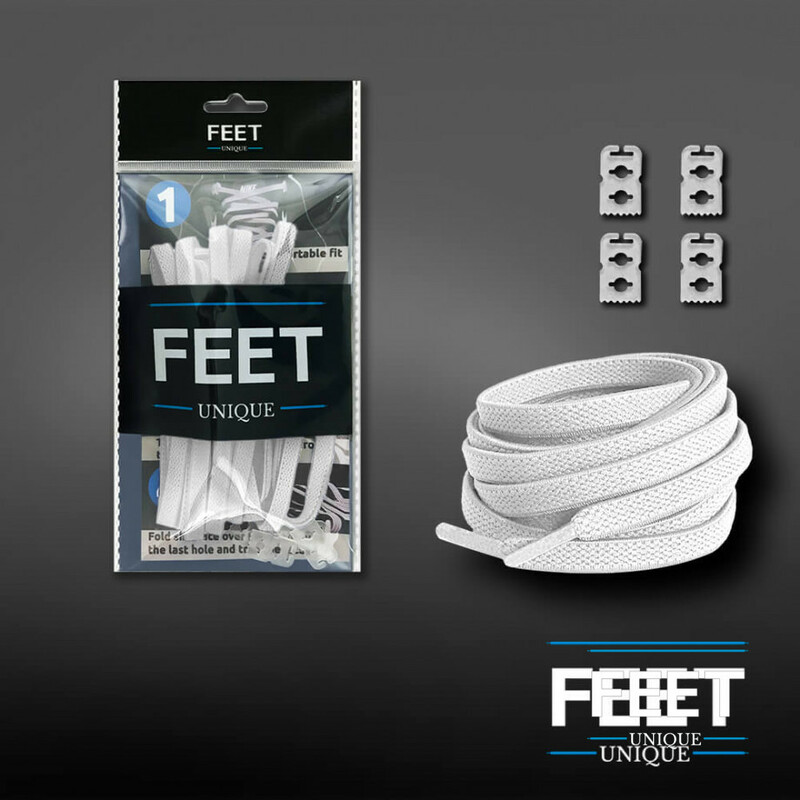 From adults looking to reclaim their time, to children who just want to get out the door, to those who physically need a break from lacing, white no tie elastic shoelaces are perfect for you. Feel more comfortable, avoid tedious extra chores, and get rid of the bowtie and excess lace, both of which can come undone or get caught on something. What's the future of shoe tying? Not tying them. And with these, you get the added bonuses of unrivaled durability and a secure fit. The easiest way to never tie your shoes again. Once your pair of flat elastic shoelaces arrive, you simply lace them up like you would a normal pair of laces. Except, of course, that you only have to do it once. Tie them into knots or cut the excess lace and secure with the included locks (our preference). But after that, they never change, delivering true reliability every single day. Save huge amounts of time. Did you know? In total, people can spend up to a month of their lives tying their shoes. Think of all you could accomplish with that time back, then consider how you'll never have to worry about fraying, tangling, or tying again. You won't find a pair of shoelaces with this many features, or at this level of quality. In fact, these will outlast multiple pairs of sneakers. Unlock your creativity by customizing your style. With the best prices online and the unmatched versatility of the color white, you have the freedom to customize your overall look. And since the length will be completely unique to your feet, it's easy to switch them into other sneakers. However, the only type of shoe these probably won't work for are high boots due to their reach up the ankle.